Welcome to Holy Week, It begins with shouting. Of course, we will learn later in the week that this welcome will not last. We are fragile creatures, and we often get it right before messing it all up again. This is what will happen to Jesus. 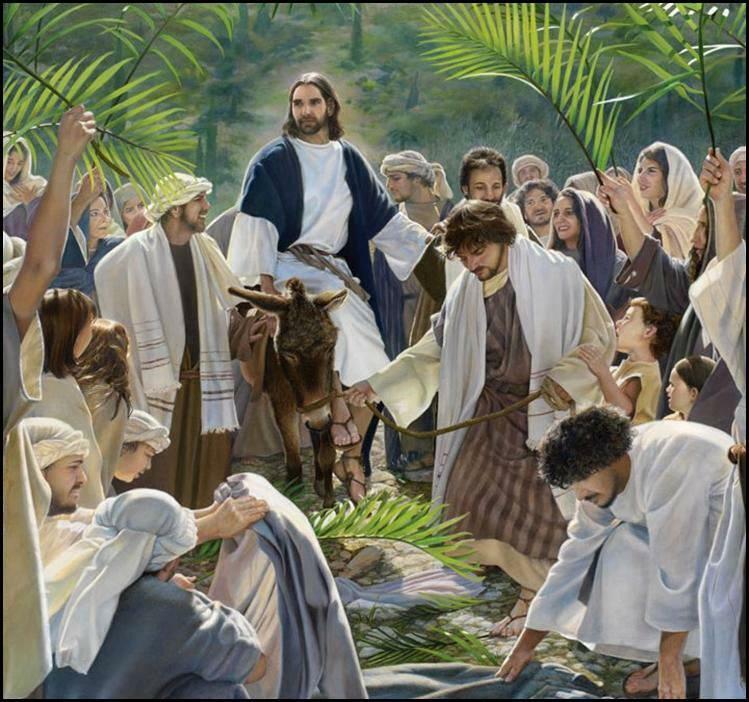 The crowd which today shouts, “Hosanna!” will on Friday shout, “Crucify him!” They will come to fully understand the danger that Jesus poses to their stability. They will see that he is not a military leader. And they will sacrifice him for continued peace with Rome. Today, we again set our feet on the road to the Last Supper, to the garden to pray, to the cross, and to the tomb. And while you may already know the ending, pretend for a moment that you don’t. The disciples didn’t. When Jesus died on Friday, that was supposed to be the end. If death is not real, then Easter is no miracle. So, plant your feet in the dust of Jerusalem this day and remember the teacher who rode through the subversive protest on a colt. This Holy Week story is life. This story is our lives. Joy. Love. Fear. Grief. Betrayal. Pain. Even the ordinary: eating, drinking, washing. During Holy Week we see ordinary lives echoed in the life and love of Jesus Christ, the Eternal. We see imperfect lives reflected in the perfect and saving love of Christ. And in it we find some seed of hope. And every year, the Church gathers to tell it again, beginning on those Jerusalem streets with the crowd that dared to gather to celebrate the teacher that many had only heard about. Today, the story begins again. We tell this story of love, death, and resurrection, just as every year around this time the Jewish people gather in their homes for the Passover, to tell the story of God’s people journeying from slavery into freedom. Because the God of Israel saves. Despite what the world may tell us, our highest loyalty is to Christ alone, the one who died and lives again, the one who binds us to people of all races, nationalities, and affiliations. Christ, the one who joins us together with people we love and with people we’d rather not associate with. We gather with the Church all around the world to tell the story, because every Christian must experience it again, not only for what is remembered, but for what is experienced just as our ancestors in the faith have. We live it again as the Church did last year, as the Church will next year. Because this story is not just Jesus’ story. It is our story, not only for what is remembered, but also for what we have experienced of this saving God in our own flesh. And so, with our hands and our feet, with our sight and our senses, with our singing and our prayers, we walk through Holy Week again. We tell it again because it is our story, and we tell it again to proclaim it to the world, because this week, in this time, we keep alive that there is a God in Heaven, and that despite the pain that we see every day, that God is a God of Love and Hope, and a God who cries with, loves, and cares for every person. The story of Holy Week, Jesus’ story, is our story. It is the story of how love and grace became flesh and defeated death and changed everything. The headlines that we read every day show that the message and person of Jesus Christ are ignored. Christians are persecuted throughout the world. There is increasing pressure in our own society to set aside Christian values by people who consider them irrelevant. John’s Gospel shows us that even in the midst of pain and human tragedy, darkness has not yet overcome God’s grace.